Undercover Concepts specialises in Pergolas in Melbourne. For many years we have been providing our services all of Melbourne and are extremely proud of the workmanship and the level of customer satisfaction that we offer. 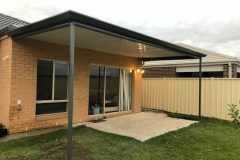 We build our pergolas with Colorbond Steel that is extremely durable, looks great and comes in a variety of different colours. Escape the Melbourne sun with a pergola from Undercover Concepts. We only use quality Australian made products that can stand the test of time and the harsh Australian weather. We provide our pergola services all over Melbourne and offer free quotes, just get in touch with us to see how we can help transform your outdoor area into a true entertaining spot for years to come. 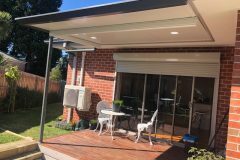 See what some of our clients in Melbourne have to say about our pergolas on our testimonials page. You will see our high quality workmanship speaks for itself. We also offer full design services and can even organise all the relevant permits for any pergolas in Melbourne that we build. 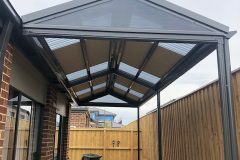 Not only that, we can also organise other trades on your behalf to truly build your dream pergola with lighting, power and more. For over 30 years, Undercover Concepts has been providing their services all over Melbourne. 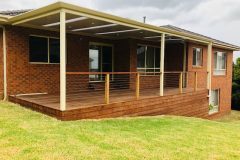 We specialise in the construction of Colorbond pergolas, patios, verandah’s, carports and even timber deckings. 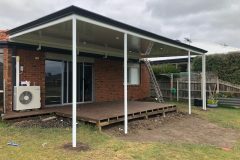 We provide our work all over Melbourne and we do more than just pergolas in Melbourne, check out our list of services here. If you want to see some our incredible work, you can see that on this page here. 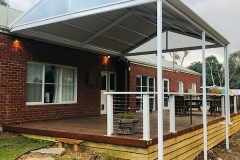 Have you got any questions about our pergolas in Melbourne? Simply check out our FAQ page or just contact us, we are always more than happy to answer any questions you may have about our services.